On the occasion of ISH in Frankfurt Ideal Standard expands its family of products ROAD. Founded as a range of washbasins, now includes dishes and shower enclosures. 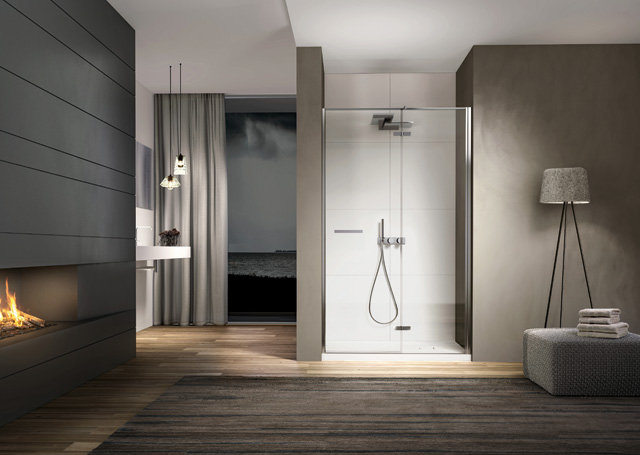 Time your shower enclosure that opens and closes in total freedom; designed just for all. 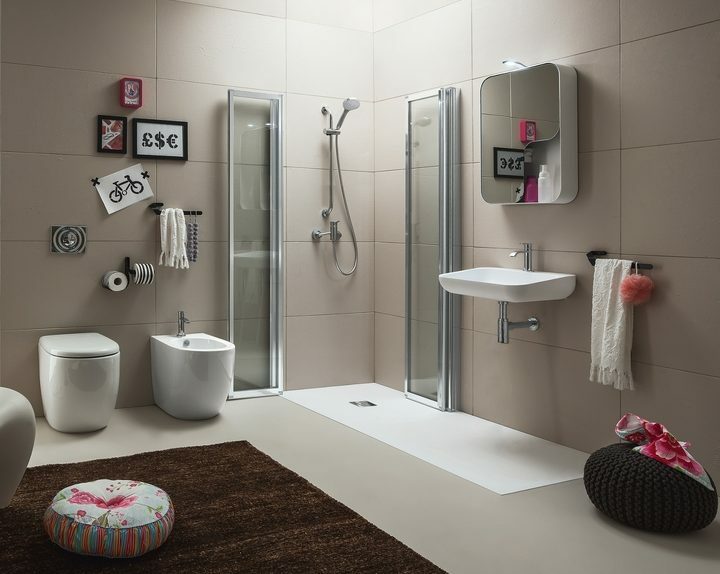 Time is the new box-saving shower, by Arblu on the occasion of cersaie 2013, Which adapts to any type of environment. A time to live the unforgettable experience of a emotional shower it was necessary to go to a spa or in a modern and fully equipped spa hotel who could supply this particular type of hydrotherapy systems. But what is an emotional shower? Those that have tried deemed not to have anything to do with a normal shower. In fact it is a mini wellness that through the combination of water, light, colors and scents manages to offer a feeling of relaxation and pleasure unique both physically and mentally. 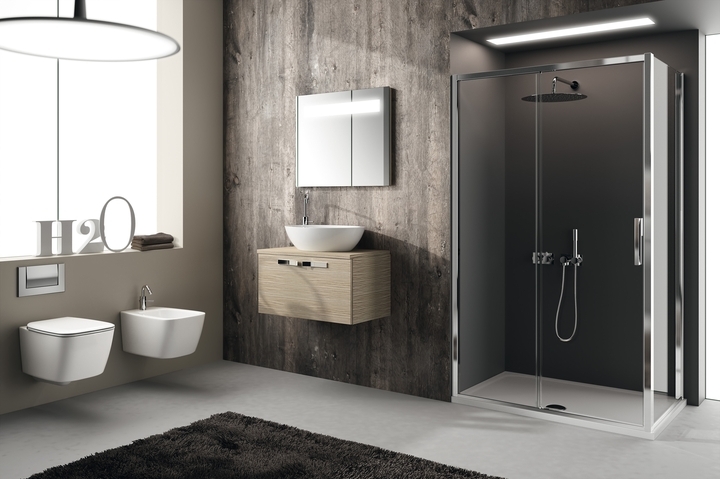 Ideagroup presents the new series of shower SMART by DISENIA, harmonious encounter between minimal elegance and practicality. The new proposal Disenia is characterized by the door that locks onto the fixed glass through 2 hinges glass-glass (glass thickness 6mm). The duration of the hinges is guaranteed by functional tests extreme, involving tests of 50.000 opening cycles.